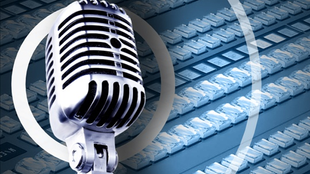 Dr.Al Garza is now hosting "More Than A Rabbi" podcast. He is a Jewish believer and is also the founder and director of The Hebrew Institute He is the author of over 20 books and holds a PhD in Biblical Studies and is an Associate Scholar with a Master's Certificate in Biblical Linguistics from the Israel Institute of Biblical Studies Hebrew University, Israel. Visit Facebook, YouTube, Twitter, AlGarza.academia.edu, DrAlGarza.blog, YHVH-Ministry and Academia.edu for more teaching and information. Become a partner today! Donate monthly automatically to support this ministry. 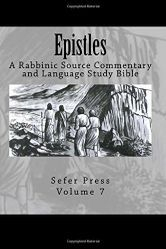 For the first time in print, the Epistles (Hebrews-Jude volume 7) in KJV English, Greek (Majority Text) and Hebrew (Modern Hebrew) with Transliteration. 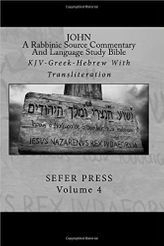 Including a Rabbinic Source Commentary with almost every verse from Talmudic scholars, Jewish writings, and others. 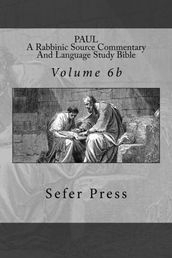 This Language Study Bible will take you through the Epistles and their teachings in connection with the Rabbis of their day and beyond. Discover the Jewish background of their teachings through the eyes of Rabbinic sources. Their letters will take you back to the time of Yeshua-Jesus. Read Jewish sources from the Targum, Talmud, Mishna, Midrash, etc. in connection with the Epistles. Order your copy today! For the first time in print, the gospel of John in KJV English, Greek (Majority Text) and Hebrew (Modern Hebrew) with Transliteration. Including a Rabbinic Source Commentary with almost every verse. This Language Study Bible will take you through the gospel of John and the teachings of Yeshua Jesus in connection with the Rabbi's of his day and beyond. Discover the Jewish background of his teachings through the eyes of Rabbinic sources. This gospel of John will take you back to the time of Yeshua Jesus and his Hebrew based parables. Read Jewish sources from the Targum, Talmud, Mishna, Midrash etc. in connection with John. Order Your Copy Now! 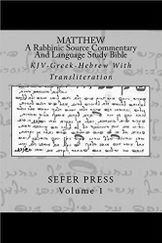 For the first time in print, the gospel of Matthew in KJV English, Greek (Majority Text) and Hebrew (Modern Hebrew) with Transliteration. Including a Rabbinic Source Commentary with almost every verse. This Language Study Bible will take you through the gospel of Matthew and the teachings of Yeshua Jesus in connection with the Rabbi's of his day and beyond. Discover the Jewish background of his teachings through the eyes of Rabbinic sources. This gospel of Matthew will take you back to the time of Yeshua Jesus and his Hebrew based parables. Read Jewish sources from the Targum, Talmud, Mishna, Midrash etc. in connection with Matthew. Order Your Copy Today! For the first time in print, the letters of Paul (Romans-Galatians Volume 6a) in KJV English, Greek (Majority Text) and Hebrew (Modern Hebrew) with Transliteration. Including a Rabbinic Source Commentary with almost every verse from Talmudic scholar John Gill DD and others. This Language Study Bible will take you through the letters of Shaul-Paul and his teachings in connection with the Rabbi's of his day and beyond. Discover the Jewish background of his teachings through the eyes of Rabbinic sources. His letters will take you back to the time of Yeshua-Jesus. Read Jewish sources from the Targum, Talmud, Mishna, Midrash etc. in connection with Shaul-Paul. Order A Copy Now! For the first time in print, the letters of Paul (Ephesians-Philemon Volume 6b) in KJV English, Greek (Majority Text) and Hebrew (Modern Hebrew) with Transliteration. 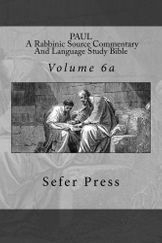 Including a Rabbinic Source Commentary with almost every verse from Talmudic scholar John Gill DD and others. This Language Study Bible will take you through the letters of Shaul-Paul and his teachings in connection with the Rabbi's of his day and beyond. Discover the Jewish background of his teachings through the eyes of Rabbinic sources. His letters will take you back to the time of Yeshua-Jesus. Read Jewish sources from the Targum, Talmud, Mishna, Midrash etc. in connection with Shaul-Paul. Order A Copy Now! AG Institute LLC-Dr.Al Garza Copyrighted 2014 All Rights Reserved "YHVH" is a 501c3 non-profit Ca. registered ministry.